(February 4, 2019) Those SoulTrackers who subscribe to Showtime will want to circle this Friday, Feb. 8, on your calendar. 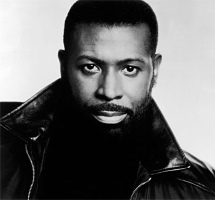 That is the night of the television premiere of the documentary Teddy Pendergrass: If You Don't Know Me. Teddy P's career was catalogued nicely on TV One's Unsung, and the previews for the new Showtime documentary look like it too will be a nice reminder to soul music fans of the important role that Theodore Pendergrass played in the late 70s and early 80, and the true tragedy it was that his career and life were cut short. Check out the sneak peek below.